The Mangaluru City Police distributed 1,500 boxes with daily essentials to on-duty cops stationed at the polling booths. Amidst all the noise around Lok Sabha election 2019, Mangaluru city police is making sure it doesn't lose the human touch. Guarding and policing the polling booths in Mangaluru, 1,500 cops are deployed to ensure safe and peaceful voting. The on-duty police staff at the polling booths are stationed for two days, where they also sleep to keep guard during the night. The official handle of Mangluru City Police, which was recently started by the commissioner of Mangaluru police Sandeep Patil, shared a tweet highlighting the kind gesture towards hundreds of cops on election duty. 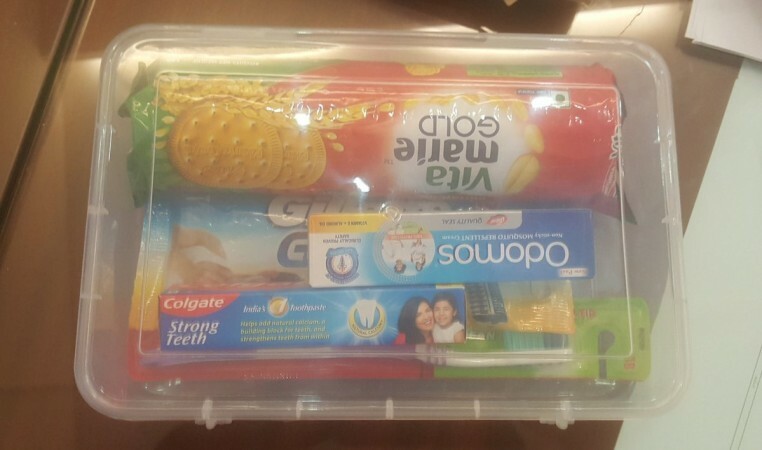 "For all the 1500 Police staff in Mlore deployed at polling booths, who have to do 2 days duty with a sleepover, a Kit Box with essential items like soap, shaving kit, toothpaste & brush, Odomos mosquito repellent, biscuits, candle given. A small step to take care of their needs..(sic)" Mangaluru City Police tweeted. The gesture is widely praised by Twitter users, who commended commissioner Patil for his efforts. Patil is widely known for his strict and citizen-friendly approach in his work and only assumed the office of commissioner of police recently. This !! This is called a super cop and a leader who thinks of his people. I’m son of a police sub inspector I always felt bad when my dad was away for days n Back then they didn’t have an such facility and there was no complaint from him. Kudos to you sir! This is real thoughtful work from you sir... Otherwise I have seen the hardship the constables face during duty.. You are a really thoughtful officer sir..
First time I am seeing such care taken of personnel, all along until very recently people under ESMA were treated very inhumanely. The polling will be conducted in Dakshina Kannada on April 18. According to a recent report, the coast adhered to the model code of conduct drawn by the Election Commission as fewer complaints were received and cash and liquor seized were lesser this time. In Mangaluru, BJP is the ruling party and Nalin Kumar Kateel, the sitting MP, will be competing against Mithun Rai of Congress and Ilyas Mohammed Thumbe of SDPI.